Thanks to everyone who stopped by to chat at our Take Me Home Dog Rescue and Curvology Studio booth at the Helping Hands Pet Walk & Fair! There may not have been fluffy cotton candy but cute and fluffy dogs ruled the day! All the attendees grabbed double-dog sized bags of goodies and gathered information and learned so much about local organizations helping to heal, save, feed, train, and serve for the betterment of dogs. The winner of our Curvology Studio Pet Portrait giveaway is Susan Alexander. Thank you to everyone who entered the raffle. We would love to meet your dog and make an appointment to capture your dog's unique spirit and personality. Tell us why you want the magic of a picture that celebrates and admires the bonds you have with your dog. Give us a chat at the following email: julia@curvologystudio.com. 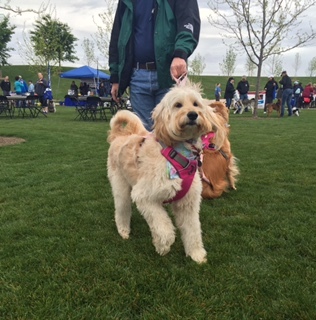 See you and your dog(s) at the lake, on the trails, or in one of the beautiful parks around the Treasure Valley! Don't forget the water!